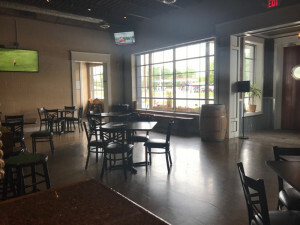 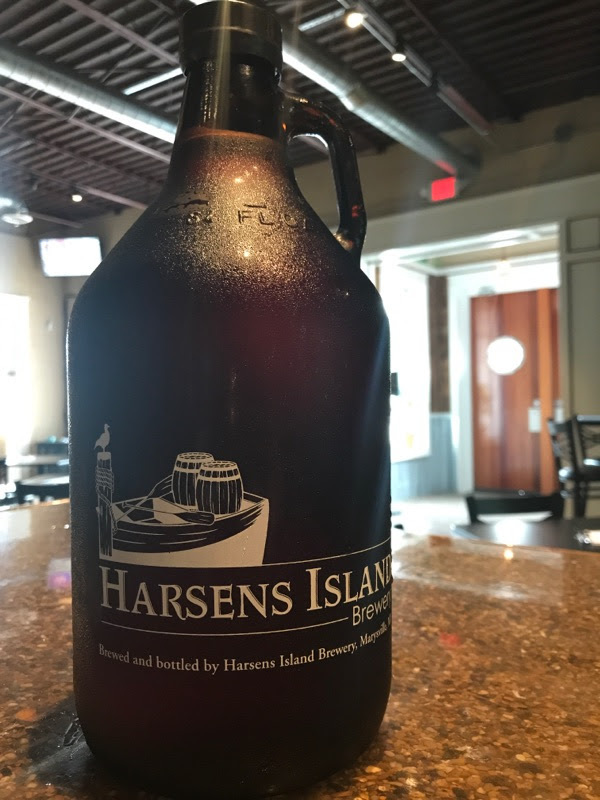 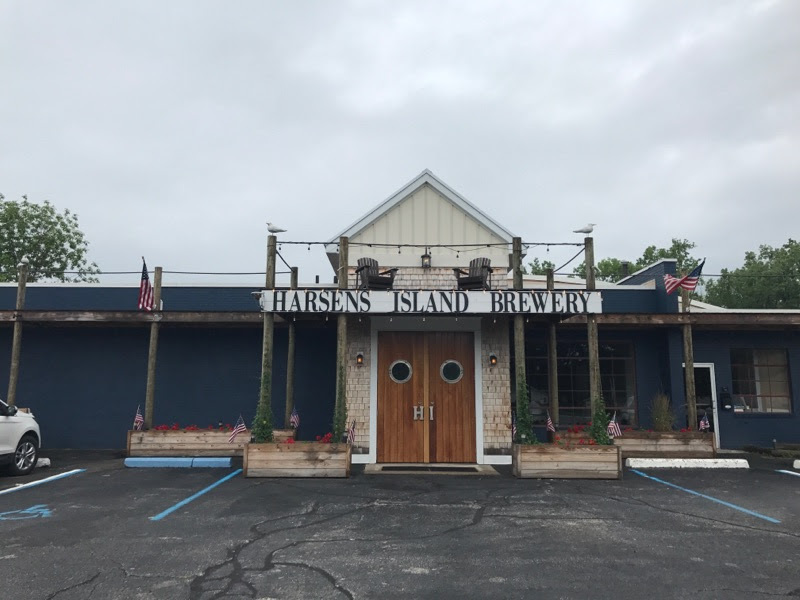 On a recent day trip to the Port Huron area, we had a chance to stop in and check out Harsens Island Brewery, a brewery that opened in Marysville in 2015. 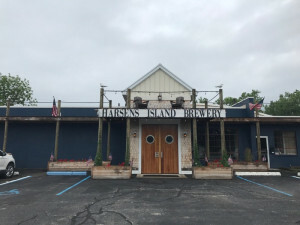 With an island vibe and nautical theme, this brewery took over a former Wonder Bread/Hostess bakery on Gratiot Blvd. 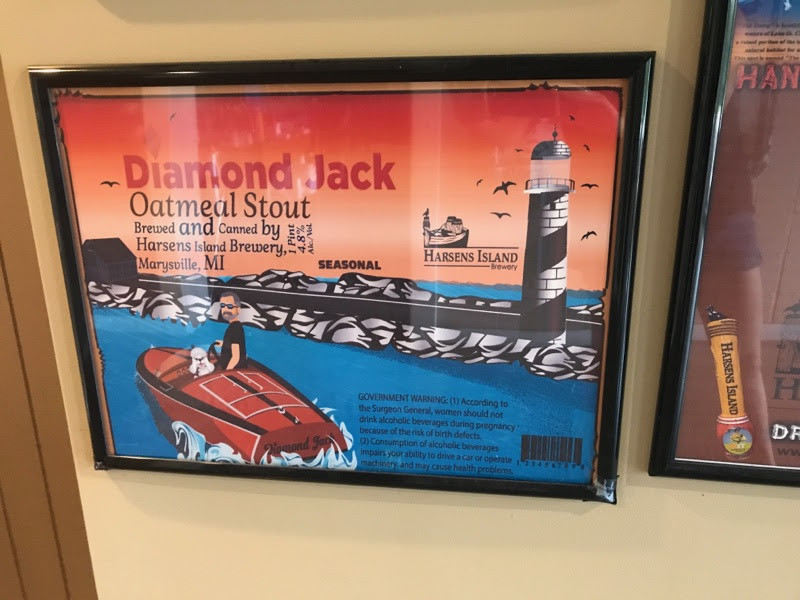 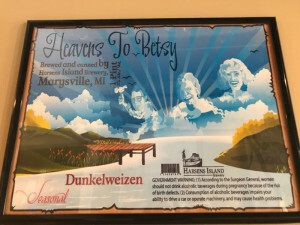 While Harsens Island Brewery isn’t actually located on Harsens Island, the family that opened the brewery has a rich history there as you will see from some of the interior decorations. 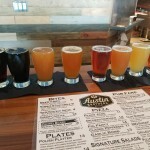 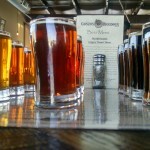 The brewery distributes some of their beers in retail outlets, while others are offered only at the taproom. Out of this flight, our favorites were the Isla Margarita, Isla Caliente, and HP1. 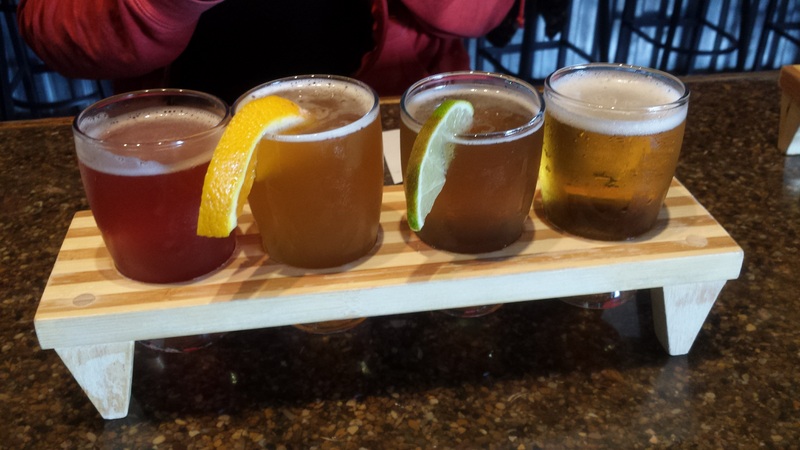 With the exception of the Isla Caliente, every beer offered here seemed great for summer drinking. Harsens Island Brewery also offers a beer cocktail menu mixing several of their beers with other ingredients. The brewery offers a generous food menu as well, with plenty of appetizers, salads, wraps, sandwiches, burgers and dinners available. 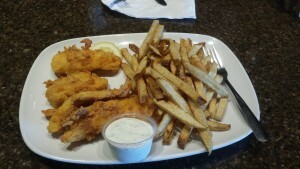 We ordered a Bavarian Pretzel as an appetizer and the Cobb Salad and Fish-N-Chips as our meals. The food was well-prepared and arrived quickly, and was both filling and reasonably priced. 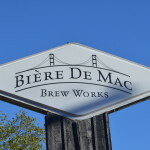 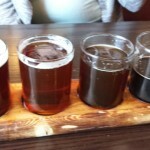 The brewery had a relaxed atmosphere, friendly and attentive service, and quite a bit of space. 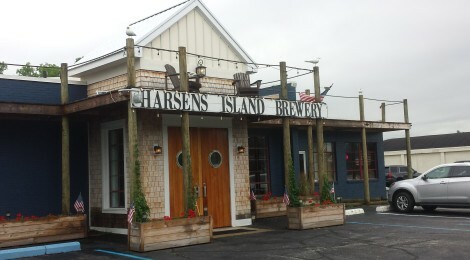 Given that this location is near the St. Clair River, many of the decorations have a nautical theme.